My Recipe My Story is exclusively for PACE alumni to showcase their PASSION, ADAPTABILITY, CREATIVITY, ENVIRONMENTALISM and DISCIPLINE they mastered in the culinary world. We believe that our Alumni will STAND OUT and become the CHEFPRENEURS they dreamed of! What’s Your Story? Share it with us! 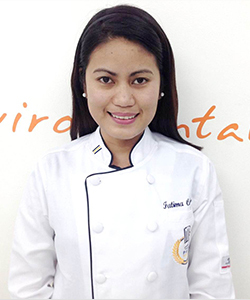 PACE Culinary Arts student Fatima Cadisim from Batch 2 has always been passionate in cooking. Even before when she does office works, she would take extra effort to cook for her colleagues. She knew that she will be at her happiest if she pursues her dream in the kitchen. With the training and knowledge from PACE, Fatima has found the strength to step out in the real world and conquer every restaurants she can practice her skills with. After graduation, Fatima became the Chef de Partie of Giovanni’s Ristorante where she got the inspiration and mastered cooking the Fresh Tagliatelle Pasta. Amazingly at the launch of this video, she has been invited in Cebu for another work stint. It’s a blessing for us to hear such news! Congratulations Fatima! 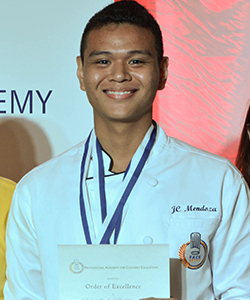 PACE alumni, JC Mendoza is ​from Batch 5 class of 2013. He ​is one of the best and passionate in their class. JC encountered multiple challenges before he finally settled for the one. He found his calling the moment he entered PACE and focus in culinary. He knew that cooking makes him proud and contented. With the training and experiences PACE has offered JC, he build up and enhanced his talents and strengths which he was able to show ​not just in the competitions he has joined in but in his actual career as well. 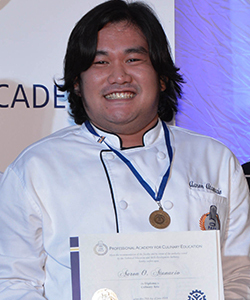 PACE alumni, Aaron Atanacio from CAD-Batch 5 is part of a group of devoted Culinary practitioners that believes cooking has changed their lives. From business management to culinary arts, Aaron has then decided to take over the family business and continue doing what he is passionate about. After graduation, Aaron is now a full time events caterer and entrepreneur. Combining his skills together, he has earned a lot of experience and skills for his career. We are more than proud for all of our Alumni pursuing their dreams and having a great career! Good job Aaron! PACE believes in the wisdom that Excellence is not a destination, it is a continuous journey that never ends. With this in mind, it is always a challenge for us to better each year’s performance. With every year of staging, the expectation of the judges gets higher and gaining success is definitely harder. In this competition nothing is given. You will literally have to earn it through blood, sweat and tears. PACE has assembled a team of dedicated instructors and students who are committed to represent PACE and its partners the best way they could. 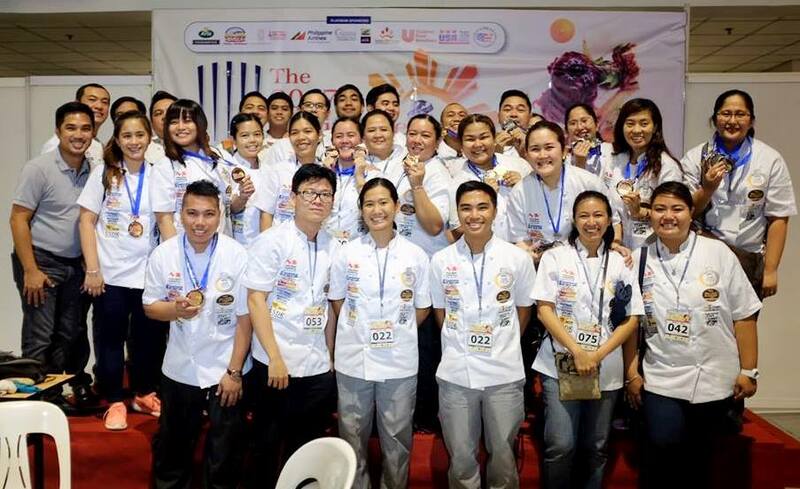 Led by Chef Lowell Cauilan and Chef Menoy Gimenez, PACE once again improved their performance that impressed the judges and gained the respect of fellow professionals. In this year’s competition, creativity is not enough. You really have to pay attention to the fine details, demonstrate deep understanding of culinary techniques and finish it with culinary artistry reflected in the dish you created. PACE is blessed to have the right people with the right attitude and the ever supportive industry partners who made things happen for us this year. With all these achievements, we are truly grateful to God for giving us the talent and the right tools to succeed. PACE would like to thank also all its sponsors who trusted and supported PACE for this year’s Philippine Culinary Cup.